Our public rooms project a warm, friendly atmosphere where the emphasis is on relaxation. 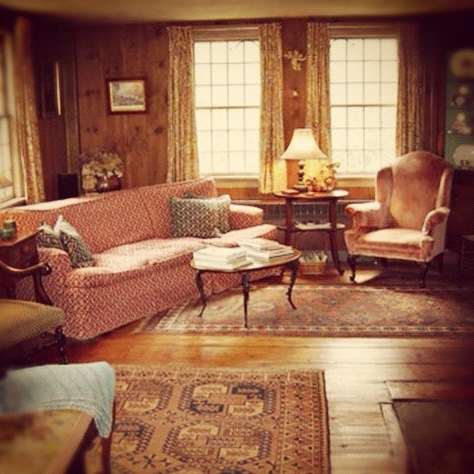 You may choose to sit on our large open porch, furnished in wicker and overlooking the mountains of Vermont and New Hampshire. During the cooler months, our comfortable lounge area is warmed by a blazing fire. The atmosphere is always informal and our guests are encouraged to bring their favorite wines and beers to enjoy. There is no television in our public rooms. Breakfast is served daily in the dining room to our guests from 8:00 AM to 9:00 AM. Our country breakfast consists of eggs, French toast or pancakes, bacon, sausage or ham, juice, pastries, muffins, home-made jams and jellies and beverages. Vegetarian options are also available. This is a great gathering place in the morning for guests to exchange ideas and plans of what to see and do in the area. The atmosphere is friendly and the food satisfying. For guests participating in the Sundari Satnam Yoga Center retreats, vegetarian lunch and dinner are also included. There are three corner rooms, Blue, Yellow, and Pink — as well as one suite, Green. 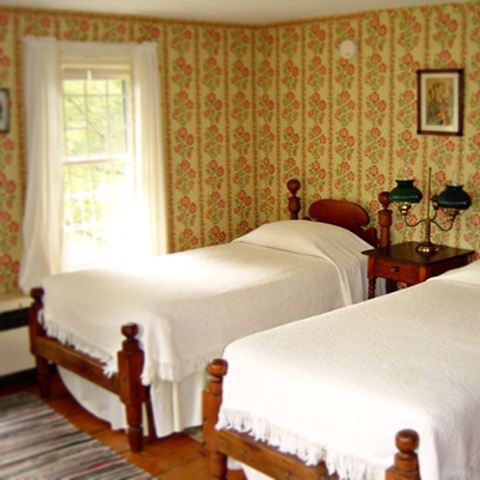 All are light and airy with views of the mountains or the Inn's apple orchard and meadows. 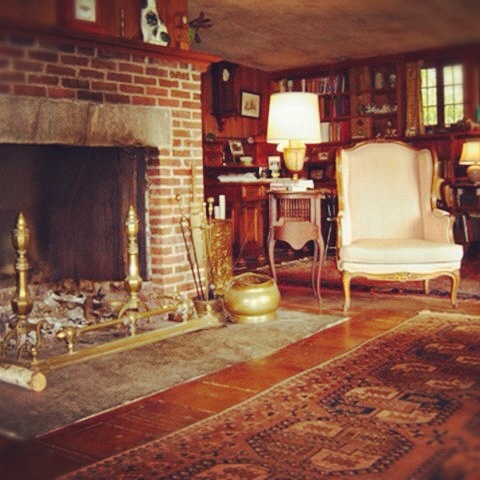 All are furnished in country antiques with comfortable sitting areas. 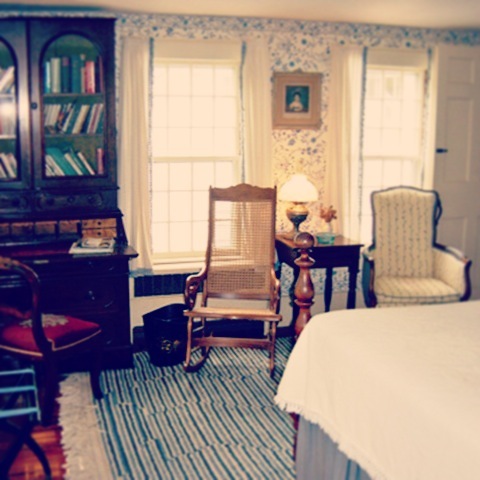 Also on the second floor, this is a wonderful two room suite with twin beds, a cozy reading/sitting room looking out on the back meadow, and a skylit bath. As with all suites, there is a refrigerator, microwave, coffee-maker and toaster oven. 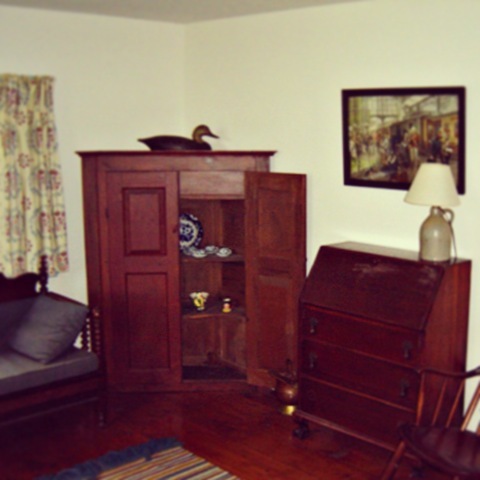 With only two rooms, the third floor provides a wonderfully private setting for friends or families. The East Room, furnished with a double and a twin bed overlooks the sprawling front lawn and picturesque mountains. The West Room, while similarly furnished has a king size bed. Both of these rooms have full, skylit baths and share a common reading area. This spacious, ground floor suite with a private exterior entrance is furnished with a king size canopy bed and comfortable sofa in the sitting area. Hidden away in the hand-carved armoire is the refrigerator, microwave, coffee maker and toaster oven. 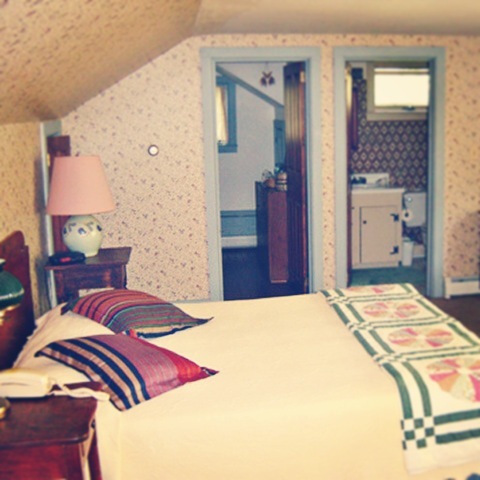 Located on the second floor, this suite has a queen size bed looking out onto a private deck with walk-out to one of the Inn's meadows. This suite is equipped with a full kitchen.